Define Device IP address, Gateway (i.e. wifi router ip), subnet mask and dns. You can get this information from your laptops WiFi connection details. Static IP configuration can be applied to ESP using WiFi.config statement. Use this command before WiFi begin. WiFi.hostname is optional, it is used to give name to ESP8266 to identify in WiFi router. This code makes a NodeMCU as webserver and controls onboard LED using web interface. Change the IP settings, SSID and Password as per your WiFi router and upload. Upload this code and observer serial monitor. 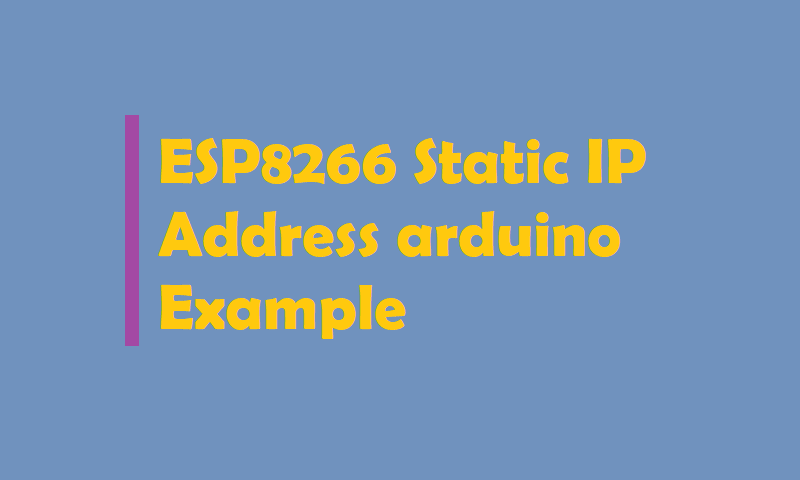 In this tutorial we’ve shown you ESP8266 Static IP Address Using Arduino Example. Do you have any questions? Leave a comment down below!